… experts… were told to assume that the breach had occurred [without proof of third-party downloads of private patient data]. As it turned out, the data had not been downloaded by anyone other than Tiversa [a third party whose claims were relied upon by the FTC]. [The FTC] argued that LabMD’s “unreasonable” data security had put consumers at risk of substantial injury—even though there was no evidence that the data had ever been shared or that even one consumer had been harmed. At issue was what constitutes “unreasonable” data security practices that put consumers at risk of “substantial injury,” in light of lack of proof of third parties accessing of the private information. The judge came down on LabMD’s side, explaining that “Complaint Counsel has failed to prove the first prong of the three-part [Section 5 “unfairness”] test—that this alleged unreasonable conduct caused or is likely to cause substantial injury to consumers.” As the linked post says, the loss may make future data security-based enforcement actions more difficult for the FTC, as the standard for demonstrating likelihood of substantial injury has now been addressed in this ruling. In other words, the agency bit off more than it could chew. There’s also a lesson here on the information security side: if LabMD actively monitored its network, it may have noticed this vulnerability and intervened sooner, avoiding an enforcement action entirely. Indeed, they may have been able to make a prima facie showing of non-access. Network monitoring, automated enforcement of a data-loss-prevention policy (e.g., by disallowing P2P installation absent authorization, or blocking P2P traffic using an endpoint firewall), keeping the data encrypted at rest, or simply segregating sensitive data to keep it outside the software’s reach, could have saved a great deal of expense in terms of reputational harm and legal costs. Indeed, even though LabMD won, it’s virtually insolvent now. 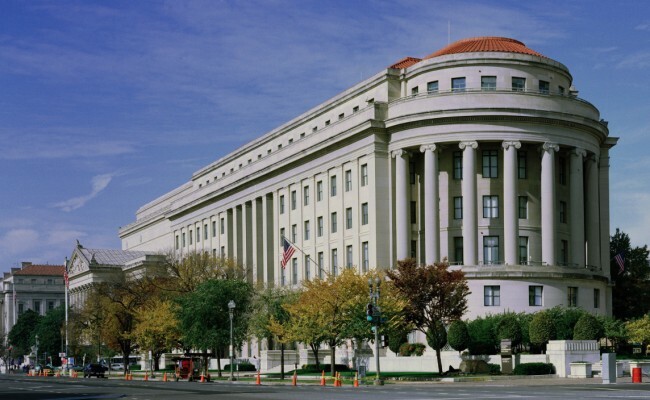 The FTC hoped to build on its progress in Wyndam, which affirmed the FTC’s authority to pursue privacy and data security lapses under Section 5. This is a classic example of an agency gathering a “head of steam” as it moves towards greater enforcement power. Regardless of your position on the appropriate scope of the FTC’s enforcement authority, the drawing of reasonable limits should be reassuring. FTC enforcement actions and leadership in the privacy and data security field over the past few years have yielded many valuable lessons. Hopefully this swing-and-miss won’t derail that trend or otherwise take much wind out of its sails. From the FTC’s point of view, that shouldn’t matter because the fact remains that LabMD left the private data where anyone could get it. The FTC wants the fact that data required to be protected under HIPAA was left within reach of the P2P client to be sufficient proof of a likelihood of substantial injury. It would be simpler to just have a bright-line rule and strict liability, so a HIPAA violation would constitute a per se violation of the FTC Act. But the law isn’t written quite that way, and ruling against LabMD could have been a boon to Tiversa’s business practices, which probably made it a tough decision for the ALJ. On one hand, finding liability based on a single exposure and consequent “breach” by Tiversa would arguably turn Section 5 into a strict liability statute and reward Tiversa’s extortion tactics. On the other hand, by finding no liability, the ALJ effectively requires the FTC to wait until there’s an actual breach by a more insidious actor. That arguably reads the “likelihood” standard out of the statute, kneecapping the agency’s ability to be proactive. At a minimum, it means the FTC will have to be more thorough or get more creative in demonstrating the threat of a breach in future cases. ANOTHER UPDATE: The FTC and LabMD have filed their initial briefs in the appeal. I’m still on the fence as to the best interpretation of the law (the FTC’s brief makes some good points on that front), but LabMD’s brief persuasively argues that the FTC failed to meet its burden in this case. LabMD emphasizes, inter alia, that there was no helpful HIPAA compliance guidance at the time, nor did HIPAA require notification to potentially affected patients at the time, and that Section 5(n) of the FTC Act did not clearly apply to medical data. (The HIPAA/HITECH rules were updated in 2013.) Arguing that the sanctions sought by the FTC were unreasonably severe, the brief also points out that, like most breaches, this was traceable to a simple act of employee negligence. What Does the LabMD Victory Mean for the FTC?